There are definetly better (not to mention more) options these days than it used to be when it comes to eating at the airport. Today’s lunch was Fjøla burger with bacon and cheddar, and a side of sweet potatoe fries. Yum! What would it take for You to participate in an exhibition or a competition? My mom received a seemingly innocent comment on one of her pictures on Facebook the other day. I'm writing seemingly as it could be interpreted one way or another, if one was to consider if there was another meaning behind it or not. It doesn't really matter if this or that was the meaning behind the comment - or if it was a meaning at all! But it did get me thinking about exhibitions and competitions. 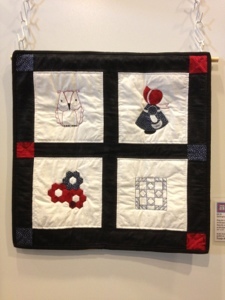 As a quilter or crafter, what would it take for you to participate in an exhibition or a competition? 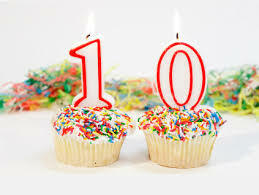 I've got through my ten years (I know, it's insane!) 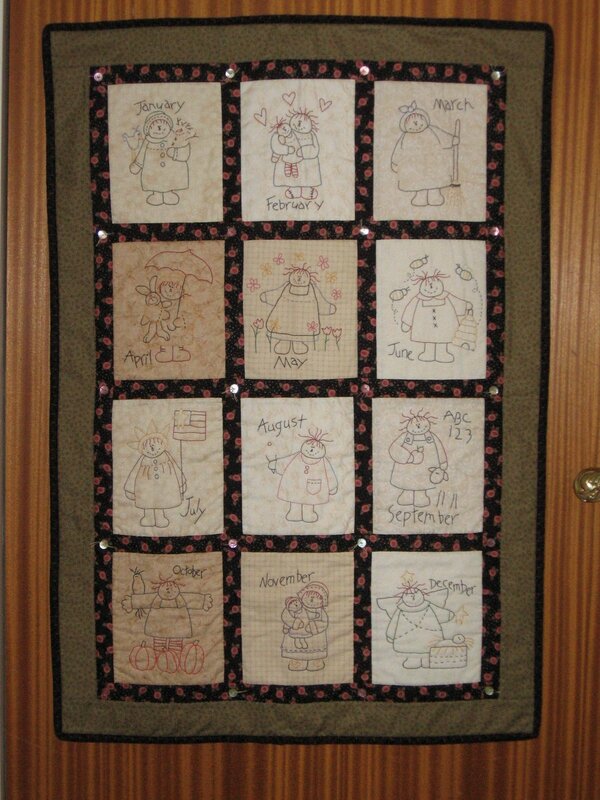 of blogging and I have rediscovered photos of quilts or crafts that I have entered in exhibitions or competitions over the years. It delighted me to see the photos, as I did not remember too well the ones I had sent off out into the big world - but there were both fewer and more than I remembered..
My first quilt entering in an exhibition was actually one that I was asked to show as part of the members' exhibition. Which I took as a honour. 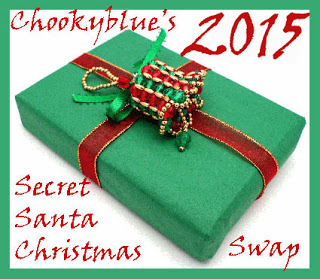 I mean, someone had noticed what I had made, and asked if I'd consider showing it to others. 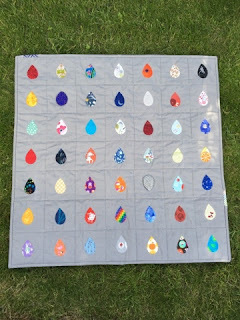 This inspired me to enter another quilt the year after. I mean, it was just to show others a little bit of what I enjoyed making - perhaps someone else was inspired to try the same technique? 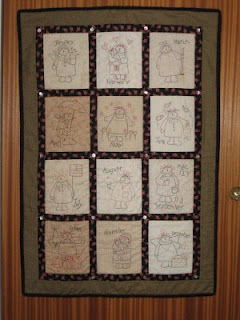 I remember receiving pins for each of the quilts - I think they're still pinned to the quilts they belong to! I didn't enter to win anything - not even to compete. It was simply to show something perhaps not every one else were in to. And then I entered the two pictures above in an exhibition showing the works of my then quilt guild when they were celebrating their 25 year anniversary. Again, not a competition. I've always enjoyed stitching, and for some reason this is not something that "everybody's" been in to. 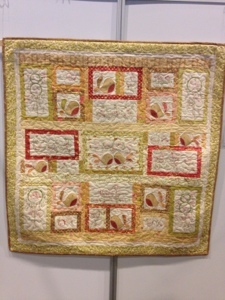 The first time I sent a quilt off to Birmingham (The Festival of Quilts) it was once again by request. I never thought I actually entered a competition doing this - but I've learned later on that all quilts shown here are in fact part of a competition. I honestly couldn't care less. 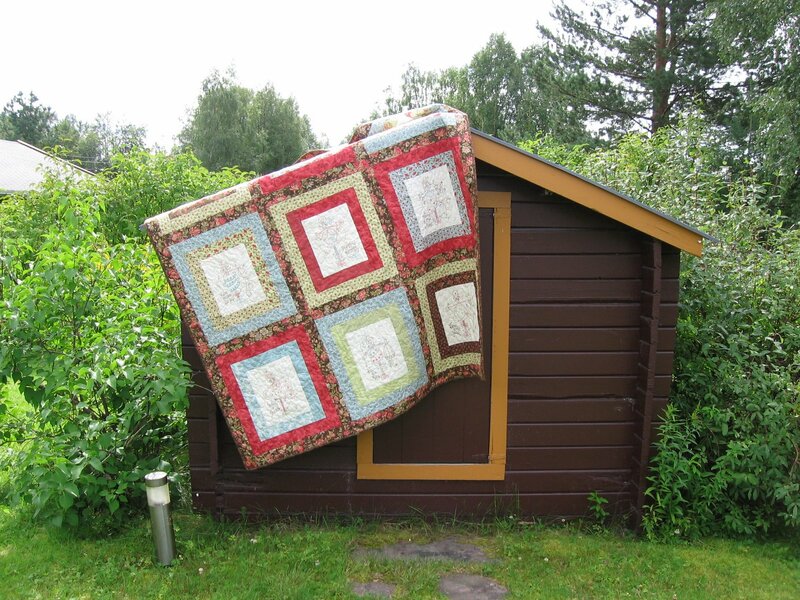 Someone wanted me to show my quilt in another country. Quite the honour, if you ask me! So, what did I really want to say with this post? I had an idea when I started to write, and then it evolved into this summary of my experience in exhibitions. I've never entered an exhibition with the sole purpose of winning it - jeez, I do have some realistic thoughts every now and then! It's like it was way back with my first quilt - to show others what I liked making. Perhaps to inspire someone? I have, however, been visiting enough exhibitions to see that there are few winners not known in the small society of quilters in Norway. Which is quite sad. There seems to be a winner and the rest are not good enough. But what if there was a way to give praise to the others in a way that made them too feel like winners? Why should there always just be one winner? I'd like to see an exhibition or competition where there were surprise categories like most creative solution of challenge, judge's favourite colour scheme, or best idea, or most creative piecing. - heck, even a my first quilt! Challenging both participants, visitors and judges to look outside the box. There are so many creative and talented people out there, but I feel the beginners are too scared to enter these things. My point is, quilters (and crafters) are a lot like kids - overwhelmed by all the things we can use, we can make, so eager to please and try - yet so easily knocked down. But you don't want to knock kids down, you want to help them evolve, to grow, to build skills.. and to do that, we all need to work together. Seeing that there is never just one solution or interpretation of something, that one doesn't have to be an expert or the best to be the one to win something. To be open, willing and able to see that not everyone has the same views as you do. There are other roads to Rome - even paths. They may not lead you on the straightest or shortest roads, but they could bring you past a view you'd never have seen had you taken the easy way. The right way.